Consider for a moment young Leonardo DiCaprio—a baby-faced, smooth-skinned 23-year-old who looked like a cherub and spent the early part of his film career playing a developmentally disabled teen from Iowa; a poet with a drug problem; and a young, hot Romeo who wore Hawaiian shirts and smoked cigarettes at gas stations. 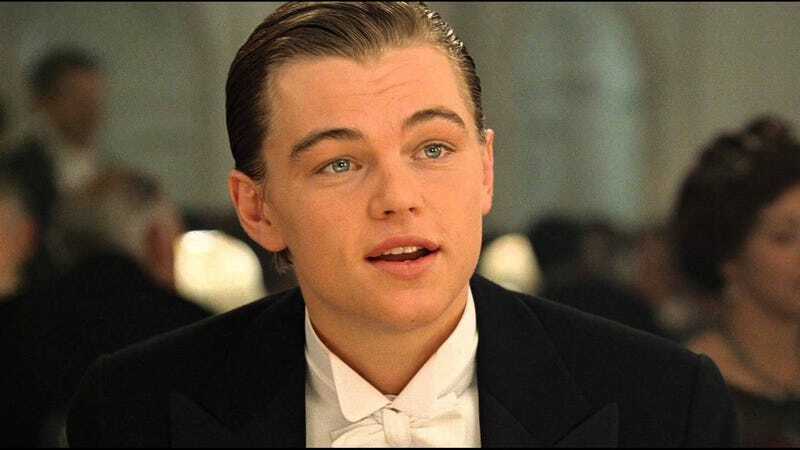 Jack Dawson—puppy-eyed, rakish, a sensual lover—was the kind of role a cocky actor who would later win an Oscar for being mauled by a bear on-camera would hate. But for some reason (money?) he made it work. Ooooo-kay, Leo! Whatever gets you through the night. Congrats to Titanic, Once Again!